Home/Blog/Your Online Video Has Now Been Crowned “Viral”! The video above is not only a good viral video; it’s also a fun example of the obsession that many people have with “Viral Video Production”. Viral videos have crept their way into our life and will go down in the pop cultural history books. “Gone Viral” has become it’s own social class—an elite status, a title that is awarded to few and sought after by many; and like a trophy, everyone wants one—the “Super Bowl” ring of the on-line video community. On-line videos are a must on company websites, corporate You Tube channels, and for use in social media. Of course, creating a viral marketing video is a great way to push a product, or generate PR buzz. If you asked me to give you one word that described any viral video it would be humorous. Take the Old Spice Man videos that surfaced in 2010, as an example. The video The Man Your Man Could Smell Like had 43,777,487 views alone. Scripted with a humorous tone, this campaign swept the Internet and became a success laced with sexual innuendoes, ridiculous settings, and a well-crafted script. A stream of fresh videos and continued humor promoted the continued success of the campaign—keeping audiences engaged, talking, and purchasing product. There is no step-by-step recipe for a successful viral video production. With so much emphasis put on “going viral” it is easy to lose sight of what is really important—a great marketing piece. Focus on what really matters; your product; your service; your message; your connection with your audience. With this focus, a solid marketing strategy, and a great script—something amazing may unfold. And keep in mind that a viral video does not replace a solid advertising or PR campaign. Focus on creating a video that will reach your audience in the best way possible—here’s hoping it goes viral! 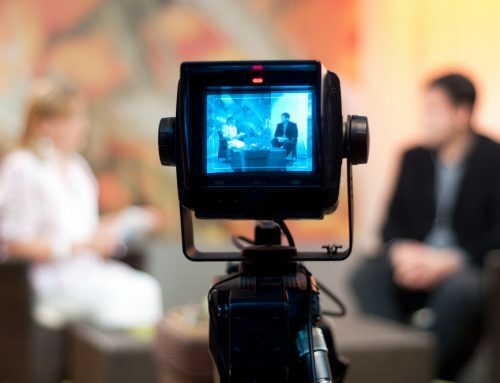 Do you need help creating a viral marketing video with realistic objectives and expectations? To learn more about our video production services click here. To speak with someone about your project, or to request pricing, please click here.